Every day, managers solve difficult problems, turn organisations around, and achieve astonishing performance. To be successful, every organisation needs good managers. 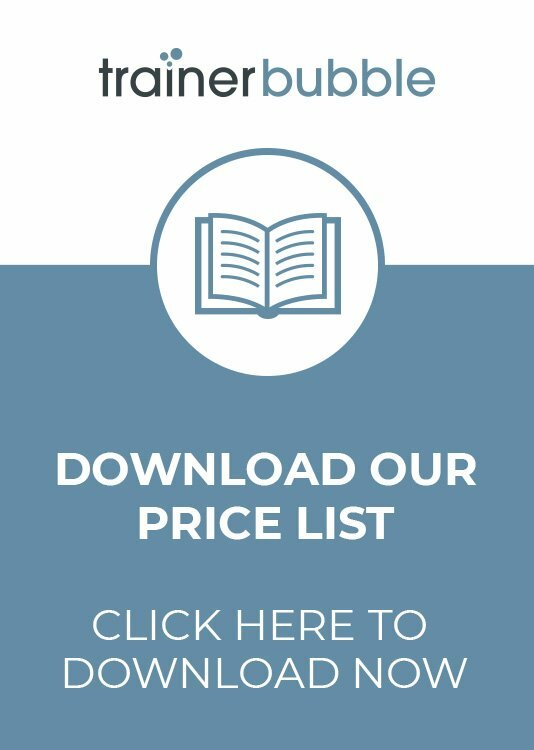 These Essential Management Skills training course materials are suitable for anyone that works in a management or leadership role. They will provide the perfect foundation for new managers to develop and grow, while giving existing managers the chance to review their current skills and build on their performance. The nature of management is to motivate and coordinate others to cope with diverse and far-reaching challenges. Managers set up the conditions that help other people perform well. In the past, many managers exercised tight control over employees. But the field of management is undergoing a revolution that asks managers to do more with less, to engage whole employees, to see change rather than stability as natural, and to inspire vision. These management skills training course materials will provide managers with the tools and techniques to perform effectively in the modern business world. Helping them to inspire their team and set engaging targets to increase their chances of ensuring success. 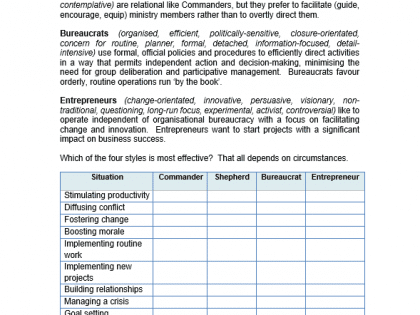 Why is running this Essential Management Skills training course a good idea? Understand their management style and use it to effectively react to team requirements. Apply goals, strategy, objectives and tasks to help prioritise and meet departmental outcomes. Concentrate on the important aspects of their work by delegating non-essential tasks. Provide employees with timely performance feedback and achieve smart conversations. Manage innovative meetings and communicate important business requirements. 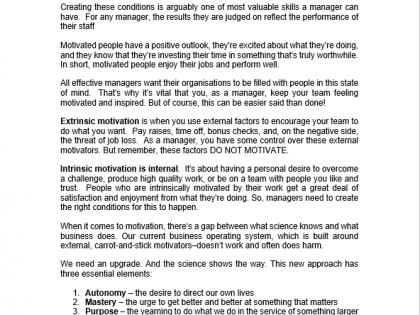 Motivate and inspire employees to ensure business success. Ultimately, these training course materials will help managers to engage and enthuse their team, becoming better able to adapt their approach to suit the demands of the role and achieve results. This management skills training course is designed to give leaders and managers the essential skills they need to not only improve their own skills, but also drive the performance improvement of the people in their teams. 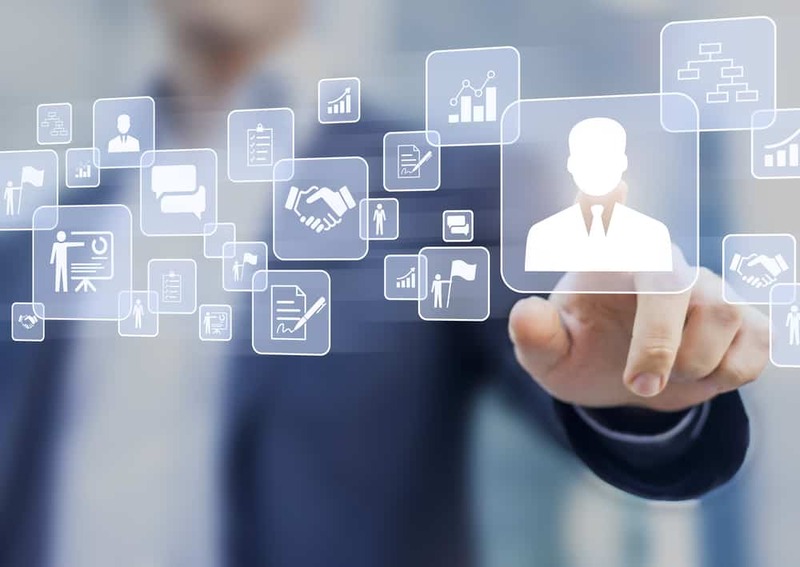 The overall aim is to improve their ability to engage and motivate those around them and to increase business success through effective management techniques. 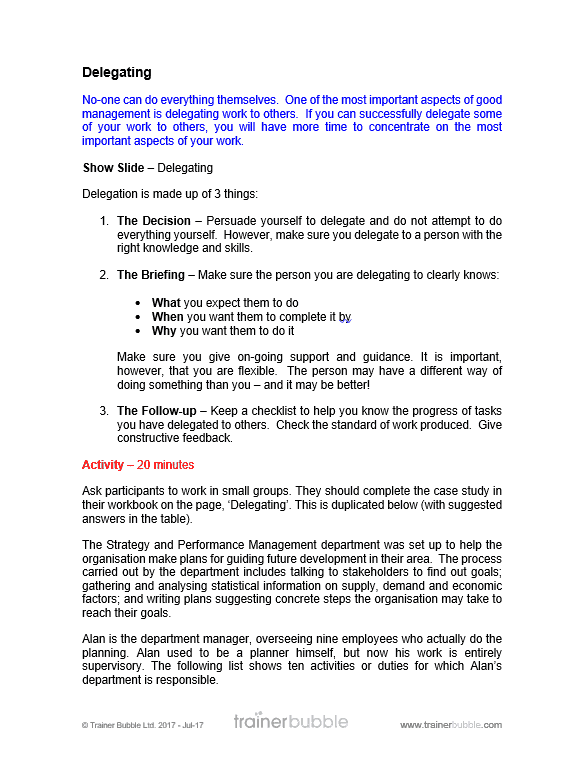 Introduction and Objectives – Setting the scene for the training course, building an understanding of the five key tasks of managers and what is required to achieve them. 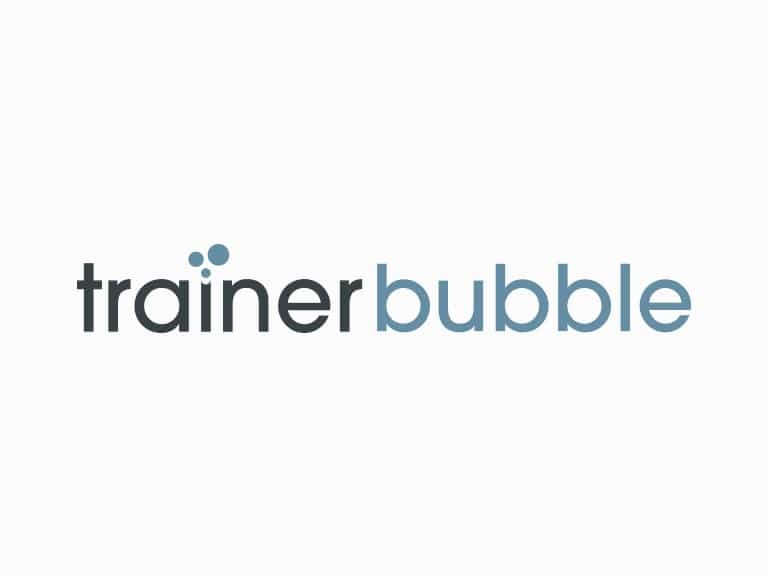 Icebreaker – Developing an understanding of what participants expect to get out of the training course and their expectations. Management as a Product – Understanding the purpose of management and how it can be improved by considering it as a product in its own right. 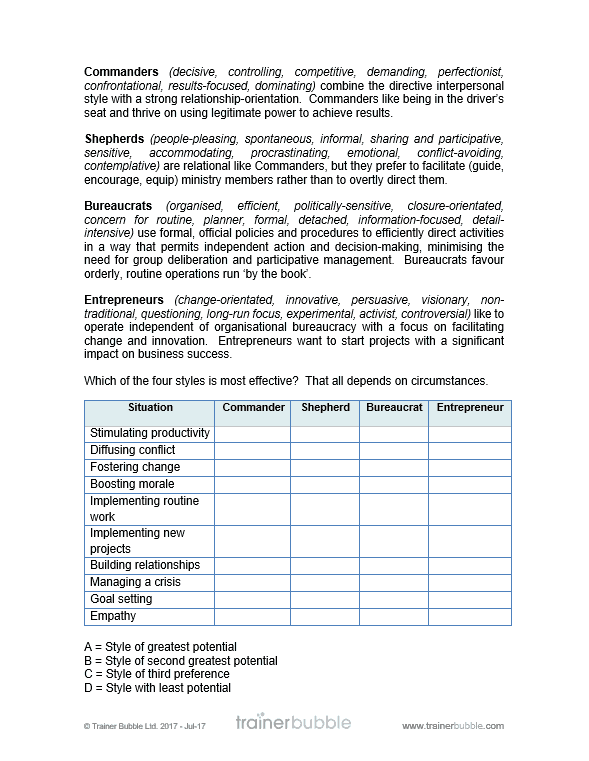 Assessing Your Personal Management Style – Completing a questionnaire to define the management style of participants, helping to identify with their approach and noting any shortfalls. Identifying when it might be best to adapt their style to suit an alternative approach. 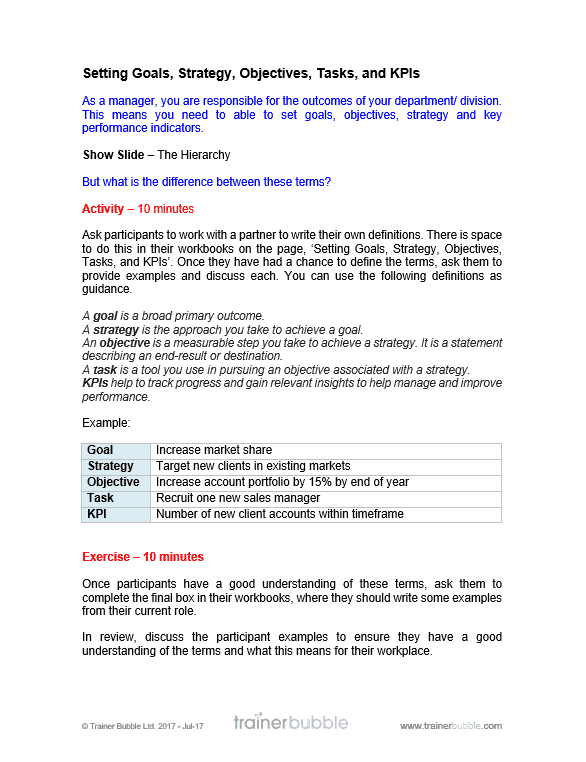 Setting Goals, Strategy, Objectives, Tasks and KPIs – Deciding the hierarchy of the different elements and creating their own workplace examples. Prioritising – Using guidance from the Pareto Principle to help understand different priorities and how tasks should be approached. 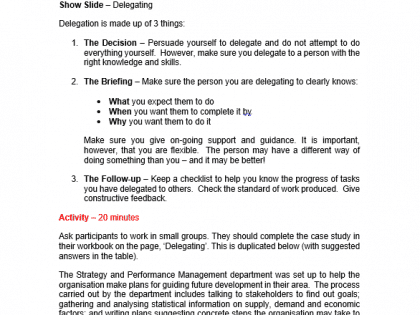 Delegating – Establishing a structured approach to delegating and following a case study that helps the participants apply this to a real-life scenario. Includes examples of a delegation log and RACI for use back in the workplace. Giving Performance Feedback – Defining performance feedback and understanding how to engage in smart conversations that get results. Includes a chance to role play expected approaches using workplace simulations. Managing Meetings – Learning the seven steps to successful workplace meetings. Having Innovative Meetings – Applying Gamification techniques to help make meetings more engaging and motivate attendees to change behaviours, develop skills or solve problems. 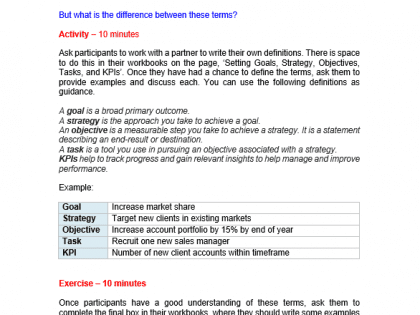 Includes two key interactive activities that can be applied to workplace meetings. Creating Engagement – Establishing the elements that help create engagement for teams and how these can be used at work. 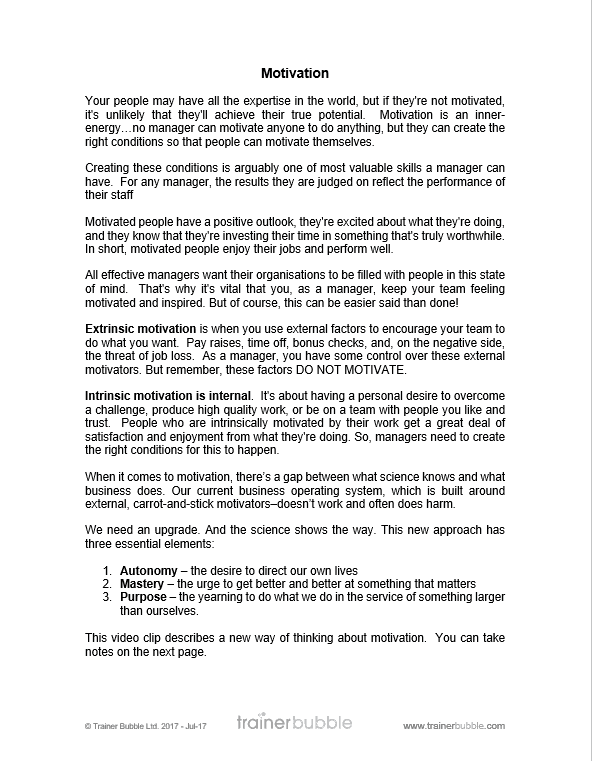 Motivation – A review of the different approaches to motivation and how best to include motivation techniques to your everyday working style. Use of a TEDTalks video to look at a different approach to motivation. Includes two case studies to help embed the learning and highlight how learnt techniques are best used in the real world. Summary – A look at actions and how to move into a ‘future state’ of learning to ensure management skills are further developed.